The majority of the city is going to see mid-rise, mixed-use with animated streetfronts as the way we revitalize, intensify and enhance existing neighbourhoods. Toronto has many tall towers under construction, but we are also beginning to fill out our Avenues with mid-rise - in just the way our policy framework had anticipated. Precisely because mid-rise buildings are able to integrate into streetscapes, capitalizing on both existing amenities (proximity to schools, parks and transit) and infrastructure in a gentle way, it's possible to underestimate their impact on shaping the form of the city. As a result, mid-rise buildings are a desirable way to accommodate growth, diversify our housing stock, and "complete" existing communities. 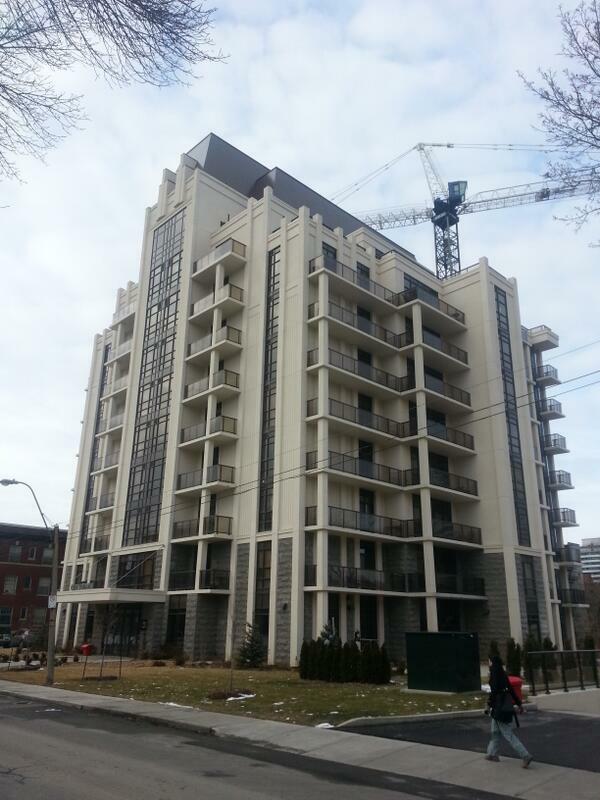 But a recent article in the Globe and Mail showcases challenges facing new mid-rise developments in Toronto. [D]evelopers complain they face many new counterproductive, city-imposed obstacles that threaten the fragile economics of mid-rise. They say new mid-rise policy guidelines are too often are treated by planning staff as strict rules and that lack of flexibility makes it unnecessarily difficult to build projects that serve the city's best interests. "They [the planning department] say they want to help solve the problems and they're kind of nibbling around the edges," said Les Mallins, president of Streetcar Developments. "But it's not enough. It's easier to get approval to build another high-rise in Liberty Village than it is to do one of ours." I've written in the past about the huge potential in Hamilton on streets like York, Ottawa, Parkdale, Locke, King, Main, Dundurn, Kenilworth and Barton. While many of us are excited and hopeful to see some new highrise skyline additions downtown after a few decades with no building, the majority of the city is going to see mid-rise, mixed-use with animated streetfronts as the way we revitalize and enhance existing neighbourhoods, while adding in tasteful new density. 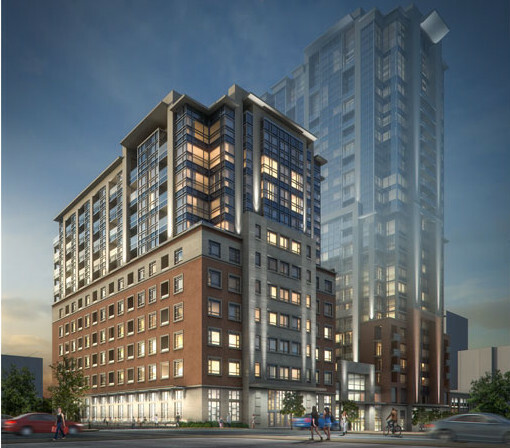 Hamilton has a tremendous opportunity over the next several years if we can get past the knee-jerk community opposition that sometimes erupts when a project higher than three storeys is proposed. Locke Street South has a couple of new mid-rise projects in the works that should be fantastic. The old Asian market on Locke will also have six ground floor retail units - exactly the type of context and interaction with the street that we need to demand from new developments. Contrast the new building at Aberdeen and Dundurn. In many ways it's a great building, but it's horrible at street level. Stand there for an hour and look at all the pedestrian/cycling traffic at that corner. It would have been great for a corner cafe, small market or bistro. Similarly, I like the design of City Square over on Charlton and Park, but would have rather seen a project integrated with the sidewalk and with new retail opportunities such as a Rabba food mart or urban Sobeys or Shopper Drug Mart. It would be awesome for Hamilton to update our guidelines for urban developments so we don't repeat past mistakes of ending up with big setbacks, blank streetwalls, and street level parking, such as the new Staybridges on Caroline Street. This came up at a recent public meeting in Strathcona about our Secondary Plan and residents all agreed vocally how horrible the sidewalk experience is now at George and Caroline due to that Staybridge design. I would recommend that City Hall mandate parking to be under or above ground, never at ground level. On the positive side, Vrancor seems to be getting it right with 150 Main West and the planned patios/restaurants all along George Street at the base of their new condo buildings. If they actually design these buildings as depicted in the 1st, clear rendering, it will be dynamite for the skyline. Lots of glass, uplighting and good colours. Hopefully it turns out as advertised. That uplighting does look spectacular, I hope it turns out as nicely as the image. Also, glad to see he's trying to extend the Hess vibe east towards the downtown core. I think that can only help, as Hess has traditionally felt kind of insular and separate from the surrounding neighbourhoods. I haven't been a big fan of Vranich, but am cautiously optimistic. Yes, pointing lights up at the sky will contribute more to the sky glow we already have from the lights pointing down. Have you ever been to the country and looked in the direction of Hamilton or any other city for that matter? It's impact is significant nonetheless and its not really about you and me. It'd be nice to try to minimize the impact. Calgary has among a number of other cities. Pointing lights at the sky for no purpose is wasteful. Anyone care to photo-juxtapose Staybridge rendering & Staybridge reality? I like the Staybridge's planned street-level patio on George Street (under the red-orange umbrellas). At least the asphalt turned out as anticipated. We could use some sky glow and light pollution on the Redhill where it meets the Linc. It's pitch black at night and it rain or snow it's dangerous. Word is that Vranich Jr. wanted street retail for his (finally, fingers crossed, really hope it's coming) redo at 220 Dundurn. City zoning by-laws wouldn't let him. doesn't surprise me one bit. In our hood, everyone wanted a small neighbourhood retail outlet at Locke and Peter. Even McHattie was on board. The citys "planners" vetoed it. And just to be clear, it would be a new small neighbourhood retail outlet on the location of the already existing small neighbourhood retail outlet at Locke and Peter, which had been a yoga studio and before that a bookstore. I drove by this area a week ago. 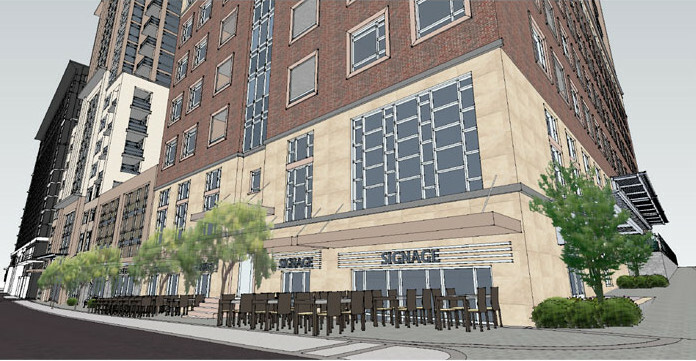 Is there actually room for the proposed patio renderings? I looked left and thought 'where is that patio going to go'?